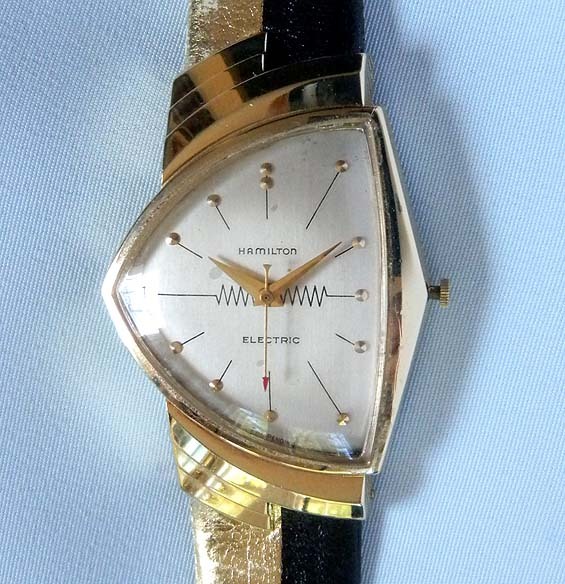 Hamilton Ventura 14K gold oversized electric vintage wrist watch circa 1958. 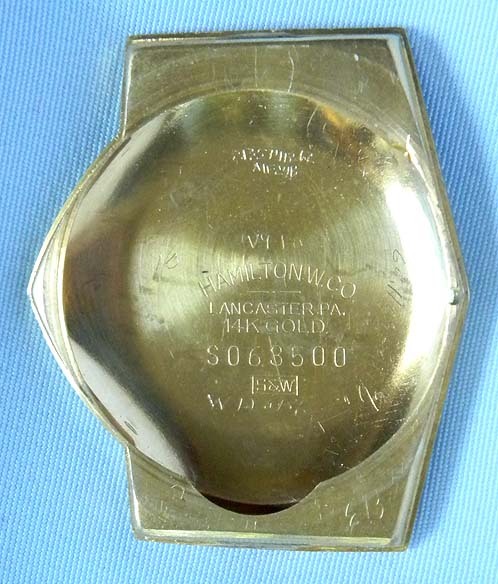 Original dial with light age spots. Calibre 500 battery powered mechanical movement. 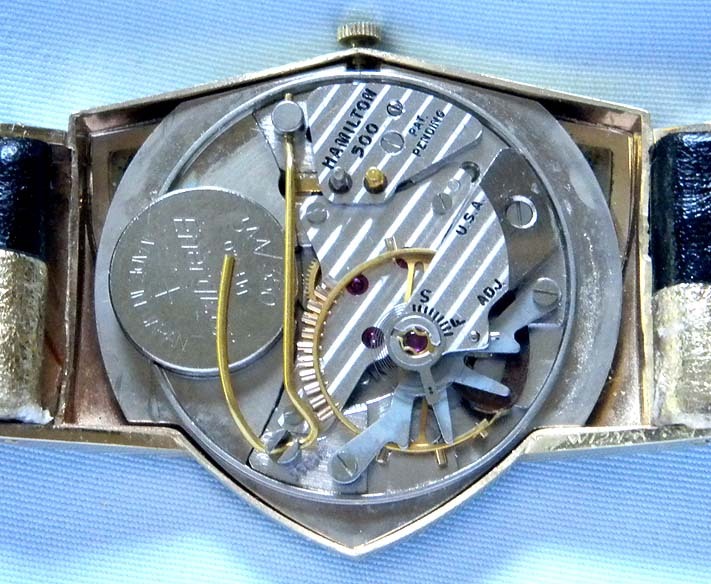 The Ventura, the world's first battery powered watch, was introduced in January of 1957. A most attractive and popular futuristic design which was featured in the movie 'Men in Black'. 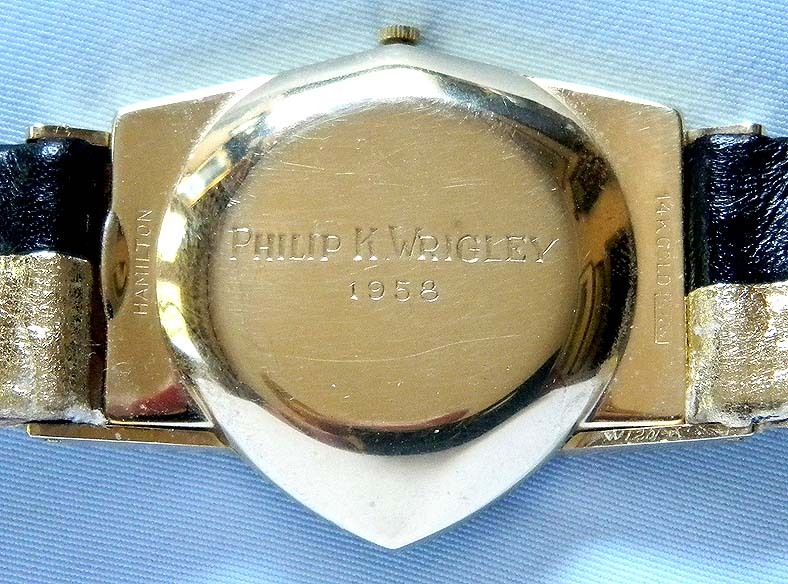 This watch was formerly the property of Phillip K. Wrigley, the chewing gum tycoon and owner of the Chicago cubs.